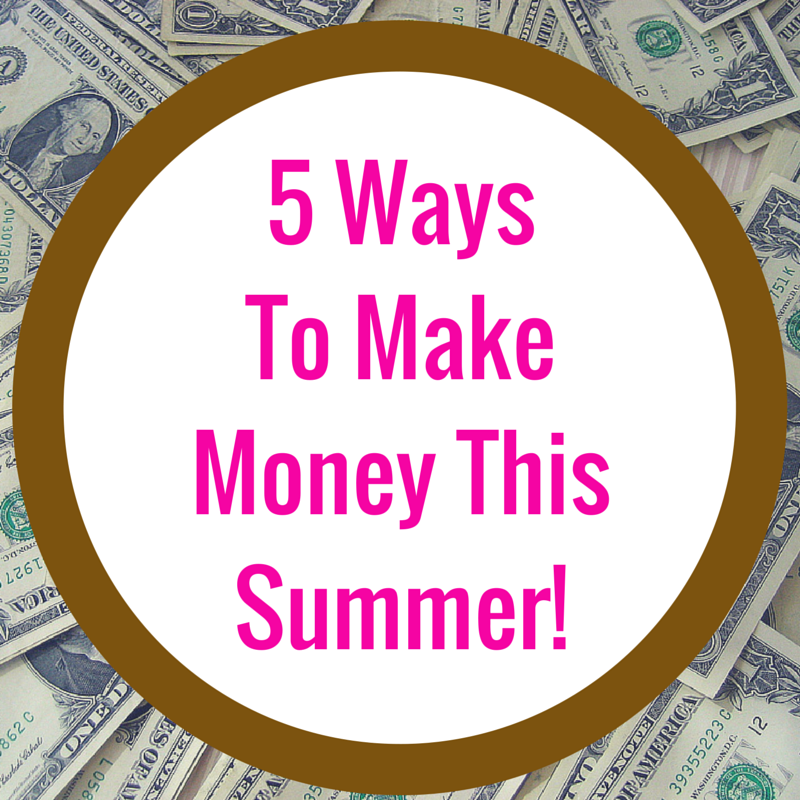 Modern Beauty Girl: 5 Ways To Make Money this Summer! I know a lot of my readers are in college or are in high school and might not want to get a conventional summer job (or might not get hired), so I decided to compile a few of my favorite ways to make money! This is kind of a hit or miss because some sites pay a lot more than others, and sometimes you won't qualify for surveys, but this is something I've been doing lately, and I've loved it! I use paid viewpoint because the surveys are really short and you get paid a set amount for each survey you take that increases over time! You can sign up here! I also use Survey Spot because there's so many surveys that you can really make a lot of money (you can sign up here)! 2) Make Videos / Blog! This is more of a long term way to make money because in order to be really successful, you'll need to build a following, but by starting a youtube channel or blog you can run ads and create a steady stream of income! It's also a lot of fun to do and allows you to be creative! It's super easy to sell things online now, and Etsy is the easiest way to do it! I think they charge a commission off every sale and it costs something tiny to list a product, but I have friends that have become very successful off of etsy! One of my classmates has even sold a headband to Ariana Grande off of Etsy! This is either going to really appeal to you or is not going to appeal at all, but it's worth a shot! If you're an artist, photographer, model, or writer, freelancing can be really great! You can try to find jobs online or through friends to do something that you already like to do! Ebooks are great because they cost nothing but time to produce and can sell really well! If there's a topic that you're knowledgeable about, write a book about it and list it! I think Amazon is the best way to do it, but you should do a bit of research if this is the path you're going to go! I believe that you don't need a summer job because there's so many free things you can do (like hiking, walking, going to the beach...), but if you're looking for some extra sources of income, I hope this helps you! Let me know in the comments how you're making that money (if that's the what you're doing) this summer! I'm working retail, taking surveys, and blogging/youtubing! I sell clothes on Ebay and love it!